The is the easiest side dish that everyone will love. It just takes a few minutes to get it in the pan and then let them slowly roast. 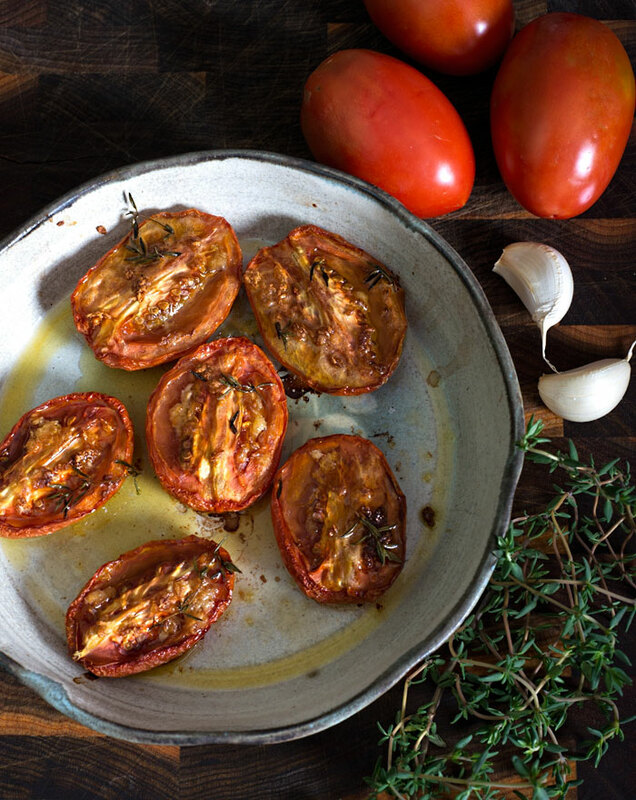 Slice tomatoes in half lenghwise and place in a baking dish. Drizzle with the olive oil and sprinkle with the chopped garlic. Place in the oven for an hour and the tomatoes should be soft and ready to eat.